Hair mask for blonde hair strengthens fragile hair fibres before & after lightening. For a sun-kissed blonde without the damage. Stop choosing between lighter blonde and stronger hair. 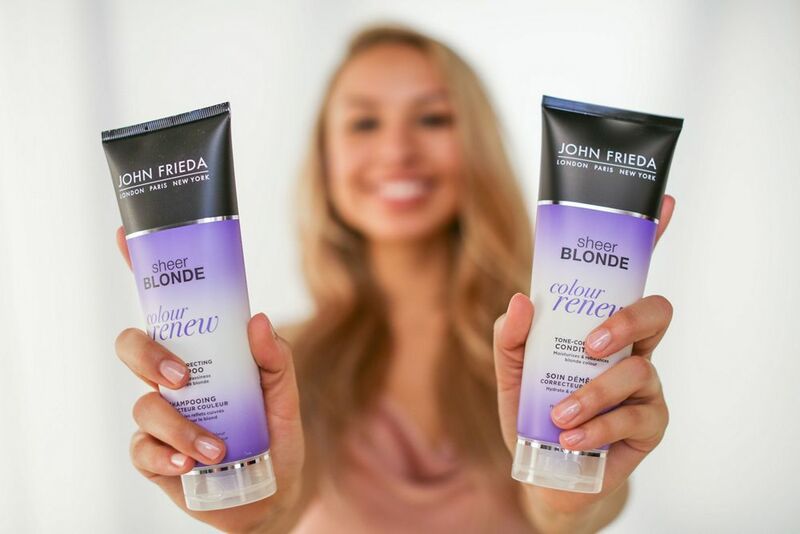 Now you can have both with John Frieda Go Blonder Lemon Miracle Masque. This hair mask for blonde hair strengthens lightened blonde hair and protects from future damage. Simply use before and after lightening or throughout your colour cycle to restore damaged fibers. Safe for use on natural or colour treated hair and for use on highlights & lowlights. Non-colour depositing. Ammonia and peroxide-free. After shampooing with Sheer Blonde Go Blonder Lightening Shampoo, apply the masque to wet air. May be used all over or concentrated on ends. Leave on for 3-5 minutes, then rinse well. Use weekly to strengthen hair. Can be used before and after you colour. Will the Go Blonder Lemon Miracle Masque lighten my hair? How does the Lemon Miracle Masque strengthen hair? How frequently should I use Go Blonder Lemon Miracle Masque?